workaround ⋆ 100% Private Proxies - Fast, Anonymous, Quality, Unlimited USA Private Proxy! Practising BO using Free Float FTP Server 1.0 on Windows 7 SP1, done simple jmp esp examples on Win XP where system DLL are without rebase or ASLR, trying to write one for Win7 where I haven’t got any system DLL with rebase or ASLR disabled, I can still exploit it but it won’t survive reboot, so I’m very much left with opcodes from the FTPServer.exe but the problem is that they all use a low stack addresses (0x0040xxxx) , so they all end with NULL byte (eg, \xce\x11\x40\x00 ) and hence terminate my exploit. My question is what are the options, if any to workaround the NULL byte in address I want to use, more specifically I want to know whenever there is an option to use NULL byte at the end of return address if it is listed as a bad character? extfs_fsck crash on macos 10.14.4. Any workaround or fix? It brings the whole system down with it. The mac reboots. Is this a known issue? I could not find anything googling. Do you have a workaround for it? I’m using the Form API to create a custom form. It has a managed_file field and some other fields, some of which are required. If any of the required fields are not filled in, the file upload for the managed_file field doesn’t work, and produces an error informing the user to fill out the required field first before the image upload can process. I’m assuming this is because the form is being rebuilt when the form uploads, but is there a way to stop it from checking for required fields? Surely there is a way, as node edit forms have this functionality working. If event_name field is empty when attempting to upload a file, the upload will not process. 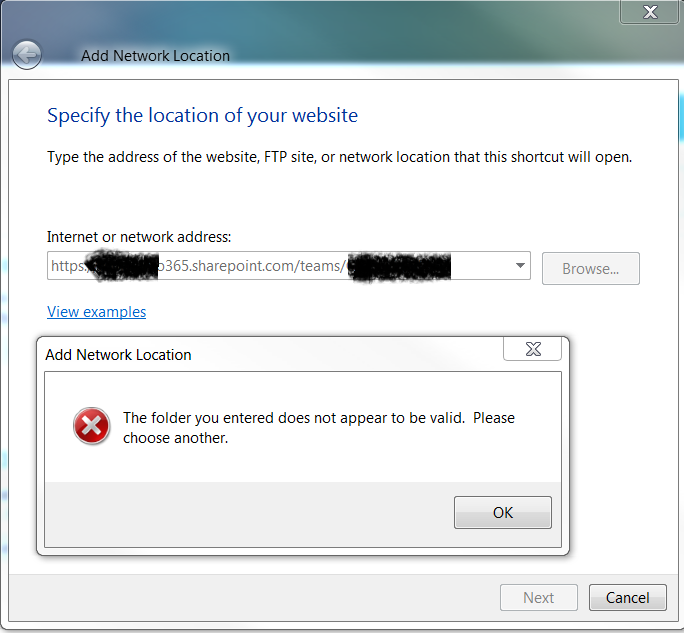 You can easily run in error when it comes to mapping a SharePoint Library (especially in case you work in a highly restricted environment). Below you will see typical error messages you can receive in certain cases. Are there any ways to avoid limitation for api calls (5/sec)? I need the info about transactions and balance (of certain account), UTXOs and the ability to broadcast my transaction. However they have limits on their calls, which is unacceptable for cases if my service in use of at least 1000-2000 people. I am begginer, so after some surfing I understood that the only way to tackle that issue is by saving the info in my own database or run my own full nodes (for each currency I have – eth/etc/bitcoin/btc/doge/dash.. etc) which might be pretty expensive and time-consuming. Can you suggest any good solution? I’ve noticed that the ellipsis (…) doesn’t appear in lists that have SHADED as their style. Instead, the “arrow” is present. I’ve tried changing the code by adding “LinkToItem=”TRUE”. However, nothing changes. Is there a workaround to replace the arrow with the ellipsis in this style of list view? I’ve been tasked to add RSS feeds to our SP site but am not myself permitted, or even able, to adjust the authentication on the server to allow for the use of an “https://” feed address. I need to use an “http://” address. 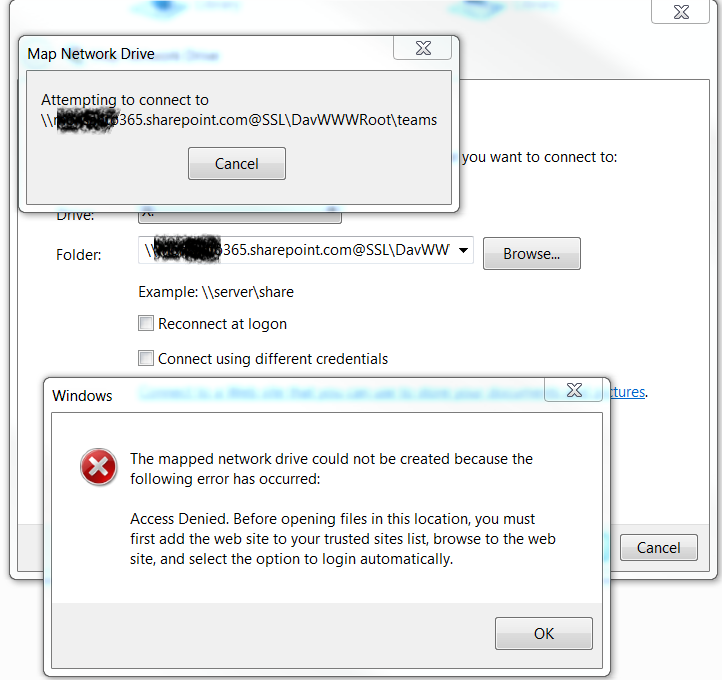 I am using SharePoint 2013 Online and the RSS Viewer web-part. What options exist that I could explore? Google import contacts from CSV not working – workaround? I’m trying to import contacts from my Microsoft Outlook (company server) to my Gmail, but whatever I try, it fails. Even when I export my contacts in Gmail to a CSV and then try to import it again, Gmail gives the annoying error, saying it experienced an “unknown error”. Hence Google is not even accepting its own export as import format. I don’t have the illusion that anyone is going to fix this specific problem, so my question is: does anyone know a workaround to migrate/import contacts to/in Gmail? Some tool somewhere maybe, other inspiration on how to migrate contacts from Outlook to Gmail? CGPathContainsPoint broken in iOS 12? Is a workaround possible? As you can see, on iOS 12 CGPathContainsPoint says my testPoint is inside the shape even if the bounding box of the shape says it is not. Changing the fill rule to NO in CGPathContainsPoint does not change anything. Is there a solution to this? I tried apple forums before but nobody seems to answer there. Standard queues support a nearly unlimited number of transactions per second (TPS) per API action. I’m trying to build a system that will add notifications to a queue that will then be sent to a customers device using push notifications. There will be a Lambda function that will read items off this queue and actually handle sending the message to the user. Problem is, I’d like this system to be able to scale as efficiently as possible. Being constrained to 300 notifications per second might cause problems in the future. So I want to design this in a way that is much more scalable than that. I have thought about building some type of system that will use a standard queue then check to see if that notification has already been sent by having a database that stores the ID of notifications that have been sent. Which might work. But at that point I think I’d be opening the door for race conditions. What happens if for the same notification two Lambda functions got triggered at the exact same time? Neither of them have been sent yet. And the user will send up with 2 notifications instead of one. How can I design a system that has the best of both worlds? nearly unlimited number of transactions per second while ensuring that no duplicate notifications are sent. I don’t think I mind quite as much if a Lambda function gets triggered twice for 1 notification, so long as it doesn’t get sent multiple times to the user. Of course if I can completely prevent this, that’d be awesome too, so that I can reduce cost. I’d also love to keep using AWS and the more serverless technologies of AWS if possible. I know there is software and ways I could provision EC2 or other types of instances for this. But that takes out the huge advantage of serverless, which is what I’m really aiming for.